Today at Working Person’s Store we are taking a moment to honor and celebrate the hardworking heroes that light up our country—electrical lineworkers. 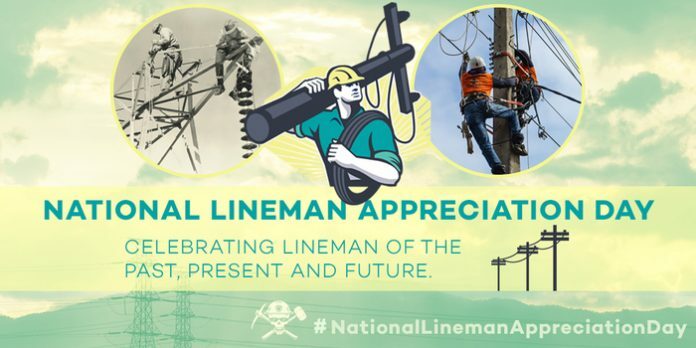 April 18 is National Lineman Appreciation Day; a time to express our gratitude to the dedicated men and women that work hard every day to build, maintain and repair the poles and nine million miles of wire that power our nation. These protectors of public safety grind it out in all types of conditions to ensure that we have the necessity that powers our work, lives and play. Lineworkers hold one of our nation’s toughest occupations—their tools and equipment alone can weigh up to 30 pounds. This career calls workers to travel long distances, work in the elements and brave great heights. After emergencies or natural disasters, being without power can be a scary and dangerous situation for survivors. During these times lineworkers hold the responsibility to restore power while facing potential hazards. Bill Bosch, founder of National Lineman Appreciation Day, recalls working after Hurricane Katrina. He describes a community in Louisiana where the power had been “wiped out” and the lineman put themselves in harm’s way to fix it. In addition to conquering aftermath from natural disasters, lineworkers face other occupational hazards on a daily basis. To face these dangers lineworkers must equip themselves with quality gear so that they are fully protected. According to the Occupational Safety and Health Administration (OSHA), personal protective equipment for the electric power industry generally includes safety glasses, face shields, hard hats, safety shoes, insulating (rubber) gloves with leather protectors, insulating sleeves, and flame-resistant (FR) clothing. At Working Person’s Store, we are proud to offer a quality selection of gear to help support lineworkers in their trade. 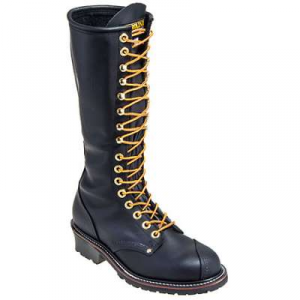 The Carolina Men’s CA924 Black USA-Made 16 Inch EH Linesman Boots were designed specifically for lineworkers. The 16-inch leather uppers are perfect for pole climbing and include leather-lined vamps. The performance cushioning insoles help control odor and keep feet comfortable. The heavy duty steel and linesman shanks are solid and durable and the bottoms are bound with a leather Welt construction. These boots are crafted in the U.S. and, of course, include an electrical hazard rating. The Pyramex Hard Hat Full Brim 4 Point Ratchet Suspension HP24110 keeps lineworkers protected and in compliance. This hard hat meets important safety standards like ANSI Z89.1-2003 Standards, Type 1, Class C,G,E CSA Z94.1-05. 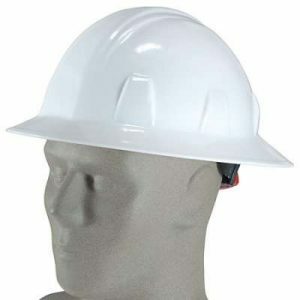 When facing the elements, this hard hat offers a trough on the back and sides to channel the rain away from the face. The universally sized accessory slots easily store necessities like lights, mounted ear muffs and chin straps. The interior features an adjustable ratchet system for a custom fit. 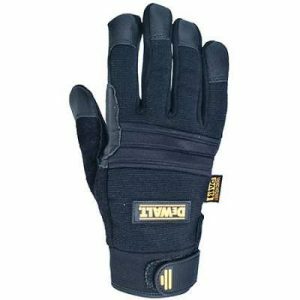 These DeWalt Men’s DPG250 Vibration Reduction Padded Tool Gloves were designed with rugged workers in mind. The Premium ToughTanned leather palms provide ultimate grip and durability for lineman to get a secure grasp on their tools. The terrycloth-covered thumb provides expert tool handling ability. For a secure fit, the cuffs lock around the wrists with the extended UlnaLock TPR wrist closure. Just like lineman, these gloves are water resistant and will take the elements head on. 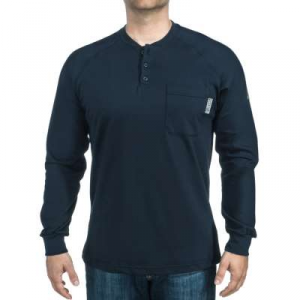 The Working Person’s Store U.S.A. made men’s henley shirt is trusted gear that lineman need if things heat up. It meets the ASTM F1506 rating for flame-resistance, and it has an arc rating (ATPV) of 9 cal/cm^2 (HRC/ARC level 2). It also meets crucial OSHA, NFPA and NESC standards.This shirt includes a comfortable, generous fit that comes from the 6.2 ounces of 100% flame-resistant cotton. The Raglan sleeve design gives workers a range of motion for moving and climbing on the job and the stitching is designed to prevent chafing.